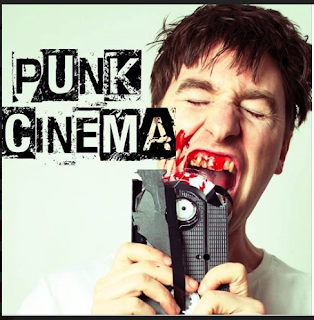 A circle of cinematic booms have revolutionized generations leading us to punk cinema considering its underground revival. From No Wave , Realsim“New Cinema, and Cinema of Transgressions movements that flourish through have captured no budget film. French films and guerrilla film making grew from these avant-garde movements that continued to surf into the 1990’s. UK and Danish directors became Influenced by the French New wave and traditional story rejecting conventions. The dogma word as vows of chastity are stated in the DOGMA 95 film manifesto. This manifesto led the way for a punk cinematic explosion that had not revolted by paying homage to an established collective who valued the artist , the director and the collaborative effort over special effects and technologies in the studio. Danish directors Lars von Trier and Thomas Vinterberg, who created the "Dogme 95 Manifesto" designed filmmaking vows of a provocateur, and explicit theme. The fire ball of its aftermath was film school poison PINK8. A manifesto responsible for disregarding film school and HD cameras including green screen and 3D, as a means to create a feature film resourcefully but by utilizing nothing more than a pocket camera phone. 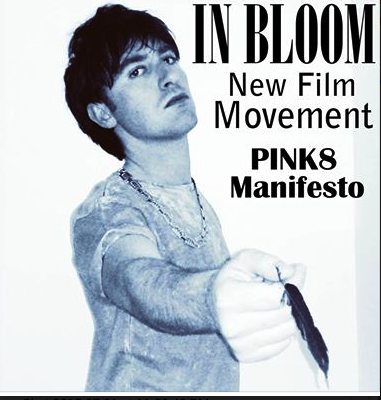 Fabrizio Federico is responsible for the Pink 8 film manifesto and forged Laura Grace Robles as his bloom of a film makers guerrilla film manifestos such as the Guerrilla film manifesto, The Junk film Manifesto, The Fake Mockumentary Manifesto, The Counterfeit film manifesto and the fake rockumentary manifesto.These guerrilla film breeds have united video art and experimental film to share their label as a capable of evolving similar film symptoms of the same definition by pursing the hybrid film that fuses stylized documentary with criminal activity. This fed Christian rebellion with film demonstrating iconoclastic aggression, statements or actions against any well-established status quo and or religious icons. The prospective goals shared between this straight jacket of conceptual ambition concerns a modern art era of fluxus ideologies during the neo dada outbreak of junk aesthetics. EffortlesslyA circle of cinematic booms have revolutionized generations leading us to punk cinema considering its underground revival. From No Wave , Realsim“New Cinema, and Cinema of Transgressions movements that flourish through have captured no budget film. French films and guerrilla film making grew from these avant-garde movements that continued to surf into the 1990’s. UK and Danish directors became Influenced by the French New wave and traditional story rejecting conventions. The director must raise "get-by" money by finding a job that challenges their ethics. The director must have a main character role in the film. Short films are NOT acceptable, it MUST be a feature. Filming must be done without any preparation or a traditional script. Special lighting is not acceptable. The director must edit the film alone. Bewildering, vague, self-indulgent, plot-less, risky, egotistical, limpid, raw, ugly, and imperfect are perfect. Technical film experience is inessential. Answer to one person only—yourself.